Did you know that today’s Super Moon is the third and last one of 2019? This incredible phenomenon coincides with the beginning of Spring Equinox in the Northern Hemisphere, which heralds the start of a new season. The moon will appear in the night sky much more brighter and, despite the optical illusion, more bigger than usual. If the Full Moon tends to make people more emotional, with higher levels of mental distress, be careful with deep states of anxiety or tendency to overthink things. Try to enjoy it as a beautiful and unique scenario baring in mind that this is a moment of a great spiritual energy. Embrace it and focus on letting go what no longer serves you. A Super Moon happens only when a Full Moon aligns with the point closest to the earth in the moon’s elliptical orbit- phenomenon known as lunar perigee. A curiosity that you’ll probably like to know is that March’s Full Moon is sometimes called the “Worm Moon”. The origin of this curious name relies on folklore tradition. As ancient people used to mark the changing of seasons by following the lunar calendar, the last Full Moon of Winter is the time when the frosty ground is melting and earthworms start to emerge. This is why this moon is called the “Worm Moon”. Interesting, isn’t it? 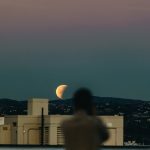 Full Super Moon: what time is it going to happen? The first Super Moon was on January 21 and the second, the biggest and brightest Super Moon of the year, was on February 19. If you couldn’t see neither of those, today’s Full Super Moon, the last one of the year, is, therefore, unmissable. The moon will reach its closest point to earth on Wednesday at 2:47 a.m., but the moon won’t be completely full until Thursday at 01:43 a.m. This is the exact time to look at the sky to see the Full Super Moon. The equinox will arrive at 9:58 p.m. on Wednesday, less than four hours before the Super Moon. So, be prepared to be overwhelmed and to welcome the new season. Spring or Vernal Equinox marks the astronomical start of Spring, when the sun is aligned and passes through the Earth’s equator. In this moment – of transition of seasons -, day and night will have exactly 12 hours of duration. Today’s Super Moon wins a special highlight because the last time it coincided with Spring Equinox was in 2000, so 19 years ago. For all of those who were expecting this astronomic curiosity, this is the right day to renew energies, to start thinking on how to grow or to improve life, to go along with the spirit of the season…and blossom.